Christopher Nolan doesn’t like three-dimensional cinema. This is a curious compunction for a maker of blockbusters, a director whose releases have become events in themselves, especially at a time when the most creative minds — Steven Spielberg to Martin Scorsese to Jean-Luc Godard, masters from across generations — are exploring the depths and possibilities of 3D cinema. Yet Nolan, who shoots on film stock and refuses to go quietly into the digital night, wants more. 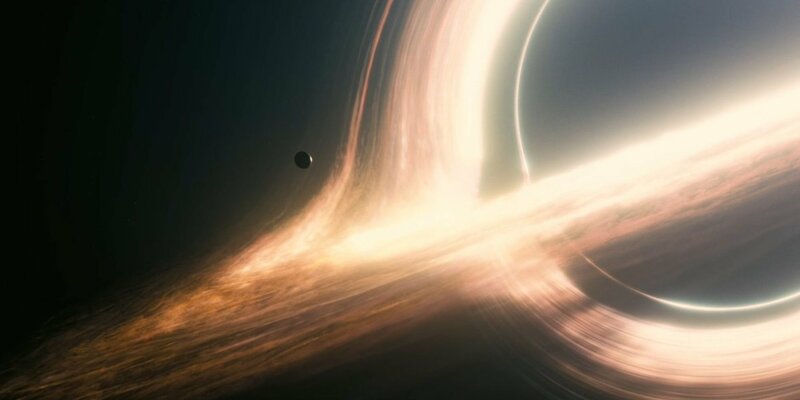 With Interstellar, he delivers a movie so vast and so universally resonant that it makes the audience question space and time regardless of our preparedness for the subject matter. Why, indeed, worry about three dimensions when you’re working with five? Dinner plates are laid upside down till they need to be used in a dustbowl future, an arid world with dying crops and an immediate need for students to become farmers. In a corner of this world lives Cooper, a widower and former NASA pilot who now grows corn. Matthew McConaughey, who plays Cooper, does so with his trademark slowed-down drawl, his voice suitably sandpapered as if by decades of dust. He says “skaaai” when he means “sky”, and, were it not for the blessed fact that Indian theatres are seeing Interstellar with subtitles, this could get cumbersome since Nolan makes McConaughey talk a great deal. Every word, however, is riveting. The hazy world is teetering on the edge of extinction, a brutal death by famine. But then one day Cooper’s formidable bookshelf begins to talk, something only his daughter, Murph (a wonderful, wonderful Mackenzie Foy) notices. This leads them to a secret NASA base, one that requires Cooper to pilot a craft into a distant wormhole on the edge of Saturn, one that could lead to new galaxies and potentially habitable planets. Murph, a brilliant kid devoted to her father, doesn’t take this decision well and Cooper says he must mend their relationship before he goes. “Then I’ll keep it broken so you have to stay,” she asserts. He doesn’t stay. For the first hour or thereabouts, Interstellar feels like an extraordinarily well-crafted Spielberg-by-numbers exercise: McConaughey’s character is close to that of Tom Cruise in War Of The Worlds; Michael Caine, who plays scientist Dr Brand, gives a tour of NASA’s top-secret facilities with the same smug glee Richard Attenborough displayed when showing off Jurassic Park; and there’s a father-child relationship at the heart of the film. But then somewhere in space, as their craft (called Endurance) locks onto a floating base station, Hans Zimmer’s music becomes operatically ominous and the lock clicks on with a near-Kubrick perfection. The film changes gears immaculately. It might pay tribute to visionary directors, and even current tentpole movie gods (the word “Tesseract,” which nowadays appears trademarked by the Marvel Cinematic Universe, is used) — but there is distinctly, unmistakably only one man at the helm of Interstellar. Visually, it is an astonishing, awe-inspiring film, one that may want you to hunt around your IMAX recliners for a seatbelt. Cinematographer Hoyte van Hoytema (responsible for Her, my favourite film from last year) captures both earth and space with starkly dry brown-blue palettes and yet manages to throw in frames composed like paintings. Tiny spacecrafts skim past giant planetary rings, waves the size of mountains look down upon ill-equipped humans and beautifully boxy robots, and a bookshelf is worth its weight in immortality. Christopher Nolan, who made Paris fold in on itself so magnificently in Inception, clearly has a feel for galaxy-sized origami. The performances are uniformly striking. McConaughey doles out exposition and theory with a smart everyman curiosity; Foy makes the first-act riveting following which Jessica Chastain takes over most evocatively; Anne Hathaway, bright of eye and sharp of cheekbone, is efficient and cool and inch-perfect as a no-nonsense pilot; David Gyasi and Wes Bentley, as frequently arguing astronauts, ground the film with credibility; Michael Caine is, well, Michael Caine; and Bill Irwin is terrific as TARS, the robot set to 90% honesty because, quite frankly, we can’t handle the truth. Interstellar is an incredible ride, a film that will scare and stupefy and drop jaws and make us weep, the kind of film that makes our hearts thump against our ribs for forty straight-minutes and makes us believe in the glory of the movies. And that isn’t even the best part. The best part — not the Pledge or the Turn but, the very best bit, the Prestige — is Christopher Nolan’s absolute mastery of time. Storytelling is a manipulative art form, and by relentlessly plying plot upon plot and event upon event, Nolan slows Interstellar down — even as the narrative itself attains hyperspeed. Its 169 minutes feel unbelievably, achingly long because of how much happens within them, the broadstrokes, like a two-year drive to Saturn, taking place briskly, while more time is dedicated to unzipping a cryogenically frozen sleeping bag, or an astronaut helping out another by giving him earphones full of chirping birds out in space. The balance of narrative heft is spectacular. 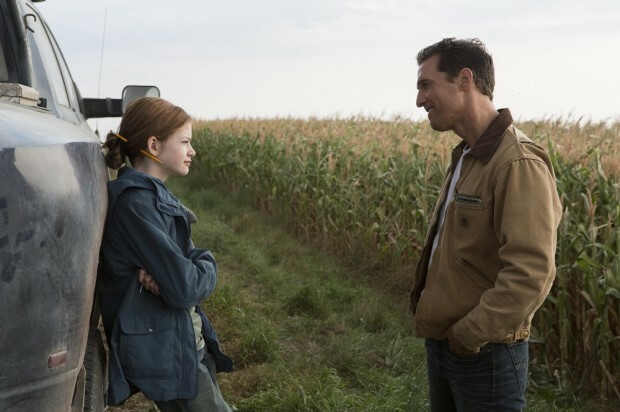 And this feeling of an immeasurably long film — of thinking back in the third act to an opening scene and feeling like it happened many hours ago, many episodes ago, many seasons ago — is what gives Interstellar its epic breadth. We feel like it’s a film we lived. By the end of it, Interstellar spins so forcefully and compellingly that it renders wristwatches helpless and makes us collectively travel in time. And, somewhere in the middle of it all, there’s even a girl called Lois. Oh my. All those Batman movies were a mere smokescreen; Christopher Nolan is Superman. If only our critics could review movies as they feel…a movie which does not deserve more than 2 stars, given 5 stars…just because it is directed By Nolan…had a good premise..but in the end, an utter waste of time and money…will leave you feeling let down…hopefully Nolan can recover to come back with another blockbuster! Avengers releases next year in May. Till then do yourself a favor and keep away from anything that requires you to think. Sangeeth, i think you are the missing the point of the film. I think u went in thinking that it will be something like Inception, with loads of action and sizzle and bright visuals and all. Interstellar is perhaps the first toned-down film Nolan has made in ages- it is something as toned down, sombre yet sensational and intelligent as ‘Insomnia’. Raja Sen has done the exactly right thing by honoring the film because the film feels genuinely thrilling, captivating and not a single moment is wasted in the screenplay which is something to say. I am not saying that Nolan has not done well before- of course, I am one of his biggest fans and I have rejoiced all his Batman movies (yes even TDKR despite the length and editing problems) as I did Inception as well but I have a special fondness for him when he pushes himself further- when he really doles out a truly intellectually challenging brain-teaser for the audience (The Prestige, Insomnia, Memento) and Interstellar might be his greatest, most perfectly realized film because it blends emotion, leisurely pace, peril and mystery with superb deftness and makes sure that it has something for everyone. I think leaving him out was intentional, as was leaving him out of all publicity. And spoiler alert should be at the start of that sentence: we want people who haven’t seen this masterpiece to remain unsullied. Dear Saurav, hopefully you can give some insights on ur “precious” thoughts about the movie and don’t start by “am a science fiction fan and favorite authors are Clarke, Carl Sagan and the lot”….the best review i read about the movie is “Nolan’s Shyamalanesque turn”! Zoeb, some movies u go after reading rave reviews…and then there are some u just go by the director’s reputation..Interstellar was one such movie…and of course, Inception was the low point in his career before Interstellar….debates notwithstanding…but i love to read all the theories whenever a Nolan film is out..and that’s his greatest contribution!